This was a school gift for my 3-year-old grandson. The camo helps to keep him interested. 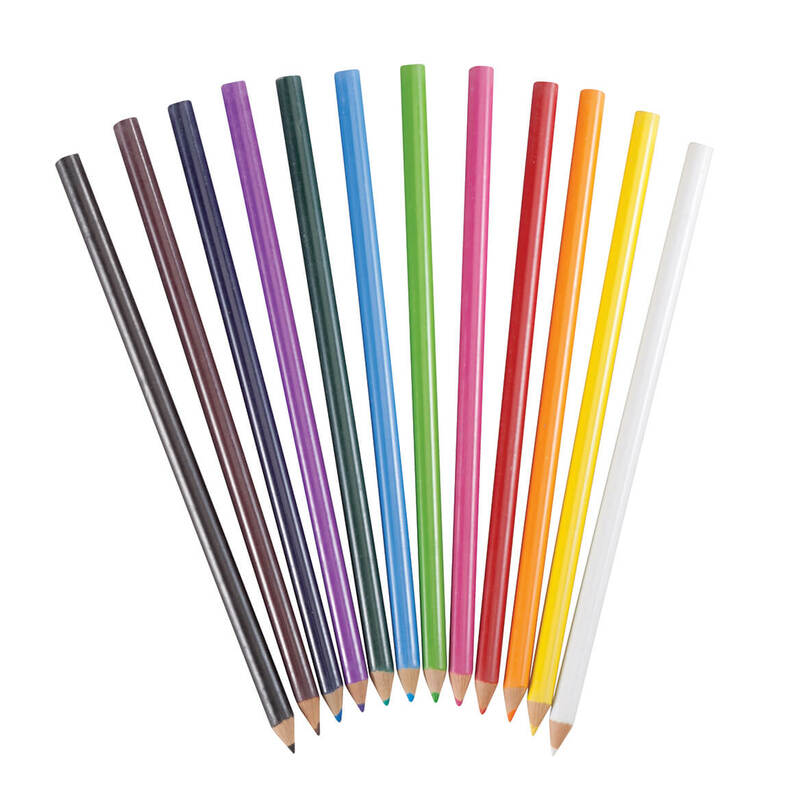 this is the 2nd year I,ve ordered the pencils for my grandson. He seems to like them. grandson was excited when he opened them. A popular choice for my boys. I give pencils to my elementary school artists to celebrate birthdays. They love choosing from a variety. Good quality #2 pencil. Good eraser. Design paint is good quality. Engraving came out great. Makes a good gift (even got myself some!). 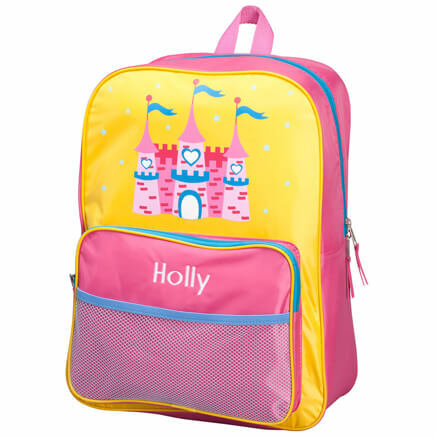 There is also a great variety of designs & the colors & shiney quality on other designs are great. My grand boys lived these. Great Gift for 12-year-old boy! Perfect for a 12-year-old boy. These not-men, not-boys usually are insulted or perplexed by most Grandmother gifts. These are just right. I bought this set for my grandson. He LOVES them!! He'll be able to find them easier now. The only complaint I have is that the name is printed in black as shown and it is difficult to see. So, we've decided to put a "spin" on that in telling the grandson that is what camouflage is all about...making things difficult to see. I purchased these for my 9 yr old. He is into anything camo these days. I have not personally used them so I can not speak for quality other than the appearance. I buy pencil sets every year for the grandkids. The problem with the camouflage set is that you can hardly see the name but the other ones you can see the names just fine. A great stocking stuffer! I would suggest using a different color for the personalization. The black name on the camouflage doesn't show up at all. Maybe white would work better. I buy these pencils every year for a young friend. Family Tradition! 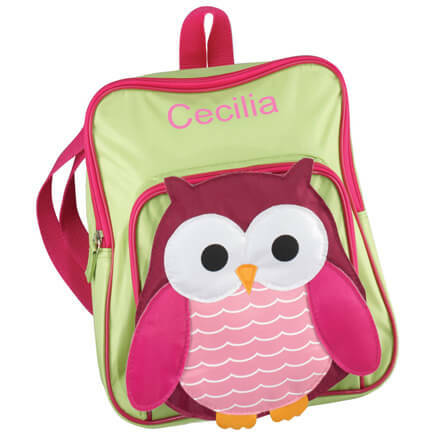 I ordered these when my first Grandson started school, now doing same for the next. Back in the day, they were ordered for me! Your brand has the best quality personalization. I give these to my 13 grandchildren for Christmas every year. The grandkids love having something that has their name on it. A stocking stuffer for my 12yr old grandson. Christmas present for a grand-nephew. My second grade grandson loves the United States Armed Forces. 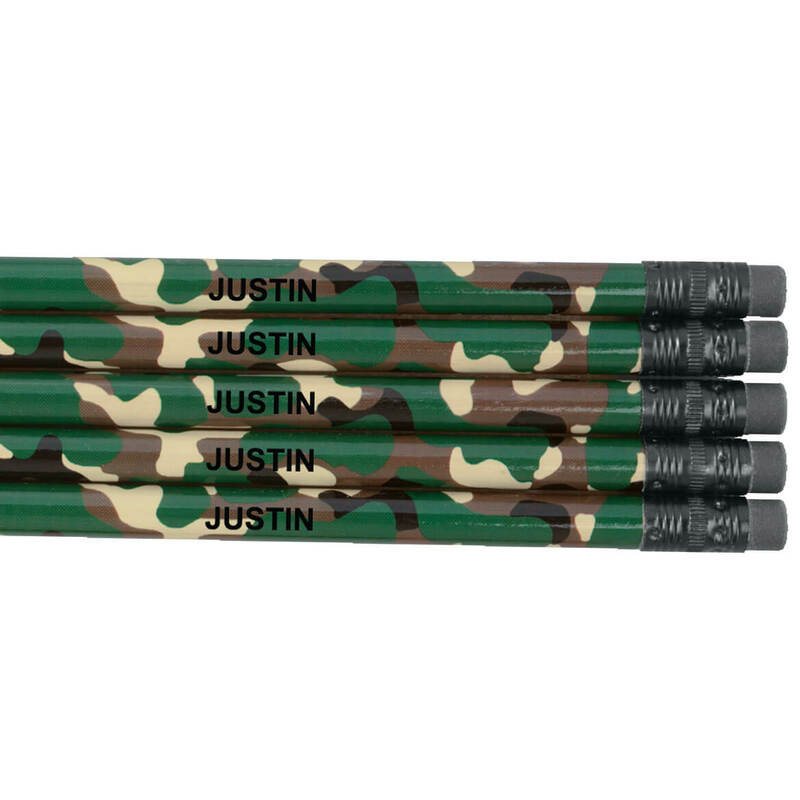 He will surely love these personalized camo pencils. To surprise my son & start the school year off on a positive note! Pre-empt pencil ownership issues in class. My daughter's boyfriends son loves Camo and this will be great. Very unique and will surprise him especially with his name on it. Ordered personalized pencils for my daughter who are grown and they enjoyed them. These are for my grandson who is starting 6th grade. I know he will love them especially since they are camouflaged. I like to buy pencils for my young Grandchildren, but did not find them in the catalog. So I had to order them on-line. I have ordered personalized pencils for our family reunion for several years. My 1st grader LOVED these pencils. My nephew loves camo, and having his name on it just adds to the fun. It is a little difficult to read the lettering on the dark pencil, but he doesn't mind. These are going to fit perfect with the Jurassic World stuff my daughter got for my grandson, for kindergarten! When I was in school, my grandma got me some custom pencils and I thought they were the coolest thing. Times have chaged, but I know He's gonna be as thrilled as I was! Kids kept getting their pencils stolen at school. Hoping to remedy that! Son loves his own pencils!! Nice gifts for young boys as stocking stuffers. I chose these pencils for a nine year old little boy and his name on it will make it harder for him go lose his pencils. Because I want my twins to have a personalized pencil and feel special. 14 year old grandson...need I say more? BEST ANSWER: Thank you for your question. Unfortunately we are not able to change the color of the font. We hope this information will be of help to you. Can I get these in larger quantities? BEST ANSWER: Thank you for your question. Yes, these pencils are sold in sets of 12. 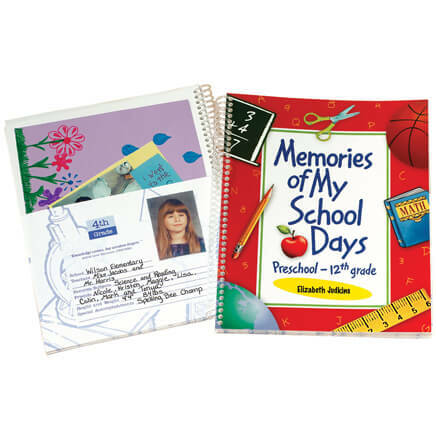 You may purchase as many sets of 12 as you would like at one time. We hope this information will be of help to you. Once I order...how long will it take to receive personalized camoflage pencils? BEST ANSWER: Thank you for your question. 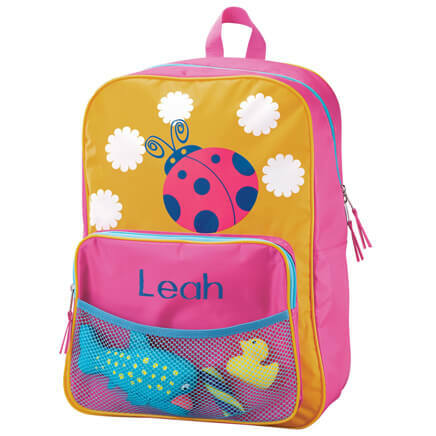 Orders placed with standard shipping require approximately 5-7 business days for delivery. We hope this information will be of help to you.